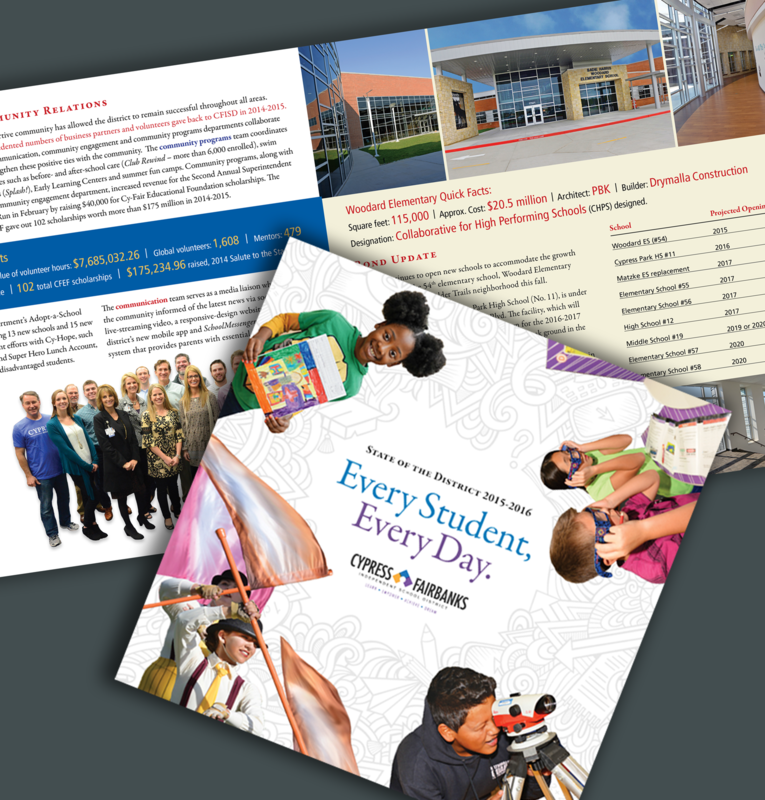 Cypress-Fairbanks Independent School District contracted us to design the “Every Student, Every Day” state of the district report. 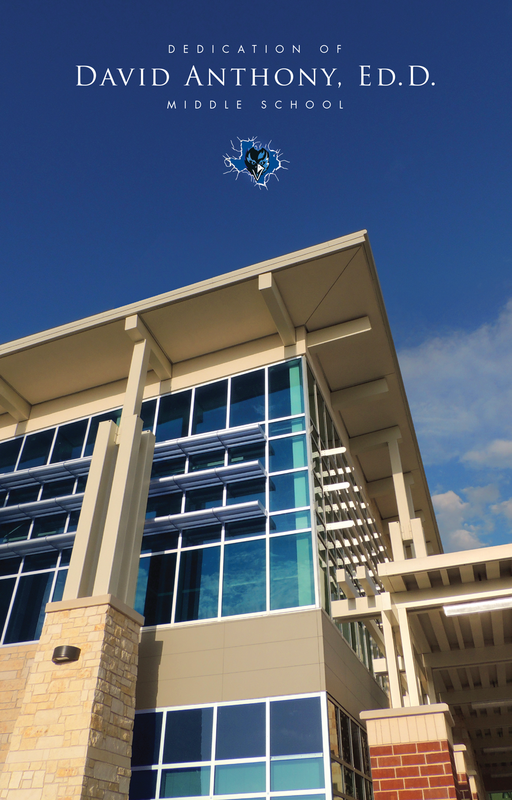 They proposed the theme, and we designed a square-format publication featuring photography of Cypress-Fairbanks ISD students and staff, as well as custom infographics. 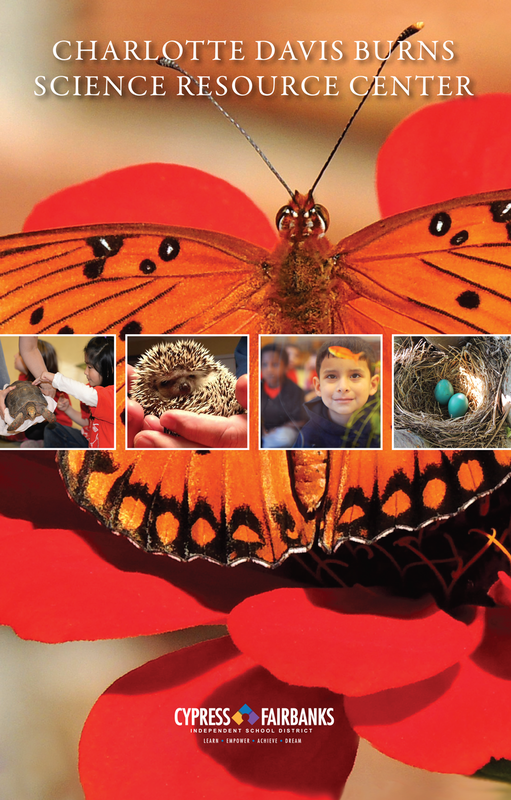 Denning & Denning also developed a series of school dedication programs, which contained front-cover and content photography that was captured on site by our team.